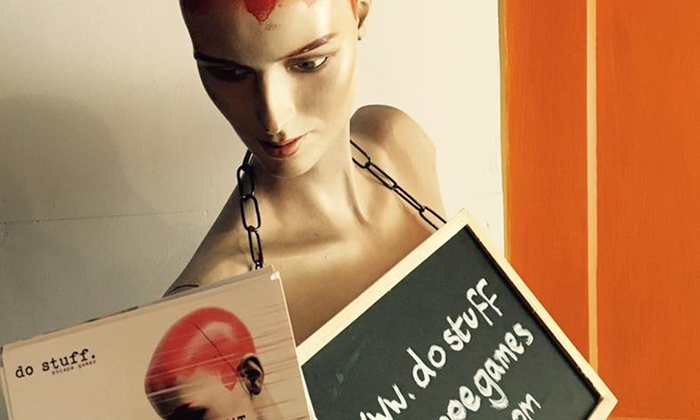 Do Stuff Escape Games are another company that have jumped on the “game inside a pub” bandwagon. I don’t mean that in a negative way – I think it works brilliantly. Planning permission is already taken care of (I assume), there’s a handy clientele available on site to whom you can advertise, there’s a very large waiting area if people turn up early, and you’re much less likely to get people turning up late because they’ll likely just head to the bar in advance. All in all, that sounds like a pretty perfect situation. The last thing heard as you scrambled to safety through an unmarked door was that they had taken hostages… You are in a safe place but you must find the clues and solve the puzzles to escape the room. Will your team set the hostages free? The relatively brief intro before the room was presumably because the full intro is given once you get inside – I won’t spoil it for you but it’s well above average and genuinely added to the theme. That’s not the only surprise you’ll get – they’re deliberately coy beforehand about where you’re hiding out and, while the inside isn’t anything out of this world, I think the mystery added a nice bit of theatrics to the event. The briefing over, it was down to business. It became apparent very rapidly that the puzzles wouldn’t be particularly on theme. While the mission is to escape and set the hostages free, there’s really no feeling during the game that anything you do will lead to that end result. Indeed, there are several parts to this game that really don’t make sense in the narrative – and this in the context of an industry that arbitrarily puts codes and padlocks around pretty much every room you visit. Perhaps they paid the price for a good intro and a very specifically themed room which put the story-puzzle links in stark contrast? In terms of the puzzles in the room, there were a variety of fairly standard escape room tropes but there was, at least, one puzzle that was entirely new to me and where I was left with a really memorable Aha moment as well as some nice takes on puzzles I’d seen before. Another puzzle will likely have some players raging because it’s very much something you either can or can’t do and doesn’t lend itself to being solved with additional effort. It’s clear that they’ve had some feedback on that front because they’d updated it to allow people who couldn’t solve it in the intended way to solve it in another (not very satisfying) way. I really liked the sense of progress in this game, although it felt like it faltered a little towards the end. Perhaps that exposed my laziness – as the game progressed, I felt there was more of an emphasis on searching and less on puzzling. That searching wasn’t particularly exciting to me, but my search-mad teammate didn’t feel that negativity – horses for courses! We escaped with just 8 minutes left on the clock, having had five or so clues. Clues were delivered over the walkie-talkie but there’s no need to use it other than as a radio – they can hear everything in the room. We really weren’t on form that evening, so I wouldn’t read too much into the escape time. I’d expect most experienced teams to beat it easily. I think novices will love this game. The hosts were wonderfully fun (I recommend asking about the origin of the Do Stuff name! ), they set the scene well for the game, the room was visually well created and there were plenty of surprises. Experienced players are likely to be disappointed with some aspects but, for me, those positives combined to make it an enjoyable experience. I’d recommend playing with three players, especially for experienced teams – four-player teams are likely to find it a little cosy and feel that there aren’t enough puzzles to get their teeth into.